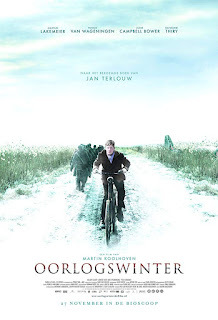 This Martin Koolhoven creation is a Dutch film based on the book of the same name by Jan Terlouw and true story of a group of people in a small town in Holland at the tail end of WWII, being occupied by Germany and surrounded by the snows of winter. It depicts the dreadful suffering that the local people endured at the hands of the occupying forces and how one family and teenage boy tried to make a stand. Michiel was 14 and lived in a (relatively) privileged family in a small town in which his dad was the mayor. He was constantly irritated by his father's attitude towards the Germans in the town, his approach being passive, keeping as much peace as he could, pretending to get along with the Germans with rank, with a view to sitting out the war with as little pain for his townsfolk as possible. Michiel wanted to stand up against them, considering his dad a collaborator, and eventually got involved in a pocket of resistance activity, taking risks but feeling like he was doing something positive. 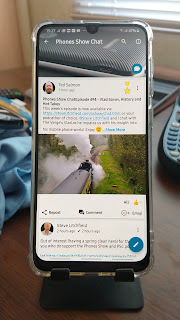 As the story unfolds, we discover that people are not all they seem, there are many divided loyalties apparent along with different views of how best to muddle through and make the best of the situation. An RAF pilot crash lands in the local woods and Michiel, through a series of cruel events, ends up having to manage the situation, using resourcefulness, tact and diplomacy, cunning and stealth, weaving in and out of the Germans on his bicycle, using his young age as a cloak. As he manages the situation he visibly grows from a boy into adulthood as responsibility for real people's lives lays heavy on his shoulders. Martijn Lakemeier plays the lad in the film and does it excellently, portraying the dilemma facing everyone in the town and reflecting the angst and emotions involved as he worked out his own place in the proceedings. It has been made in Dutch, German and English so subtitles all round, most of the time. It's shot in a bleak manner reflecting the winter weather which almost feels like black and white, but making for an atmosphere which depicts the harrowing situation. The cruelty of the invading forces is on show here which can sometimes make for difficult viewing, the film trying its best to appear realistic and factual rather than hiding the stark truth of what was going on and what the people had to deal with on an hourly basis. Like many WWII films, it's sobering and allows most of us who are too young to remember, to reflect on the difficulties and horror which was faced by those born at the wrong time. The whole cast perform admirably, some of the photography depicting the landscape in the snow is quite beautifully executed (with minimal hand-held going on), the music supporting the film is well constructed and appropriate to the scenes and there is much attention to detail in the sets reflecting the time and place. It's not an easy watch, but a rewarding one. Well made, with a serious reflection of the history of Europe, ordinary people's roles, anger, courage and character. Do see it.